Untrained ears might shrivel in terror, but those who appreciate the joy of noise will recognise the sound of veteran masters on unassailable form. There are no signs of creative slowdown here. If anything, Apex Predator-Easy Meat ups the ante on all their post-2000 albums. How they top this is anybody's guess. Ultimately, ‘Easy Meat’ is full of heavy topics set to heavy music, ground up with plenty of warped humour. It’s a perverse and challenging listen that makes very few compromises. It’s still a Napalm Death record through and through—which means shredded eardrums and tinnitus for days. After all this time, we’d expect nothing less. Apex Predator: Easy Meat is a pummeling listen that doesn't get old. I usually don't like this kind of metal music, but I really enjoy this record. 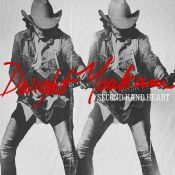 There is a lot of variation here in the tempos, riffs, song structures and even vocals--each song is different yet it still contributes to the whole. Spot-on performances, clean production and thoughtful lyrics that don't lean on metal cliches make this my favorite metal album since The Satanist by Behemoth. Napalm death 2015 release date album Apex predator displays a relentless and assaulting sound of grind core. Napalm death have been one of the earliest extreme metal act bands and still after 30 years they haven't lost their touch. This is everything i love about grind-core,the mean drumming, the variation of the rifts and the harsh brutal vocals.Overall this album isn't anything ground-breaking but new ideas that is no holds bar. Napalm Death do what they do best. Pure, vicious, and down right terror. This shows that they will no slow down and they still have it. 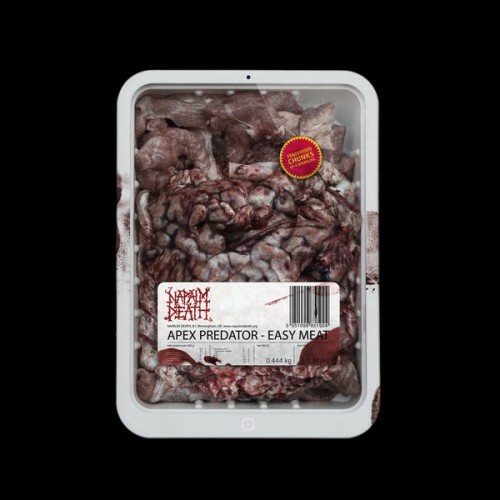 Not really adding to the equation, but still, Apex Predator - Easy Meat is a killer album from start to finish. Extremely brutal Napalm Death record. Simply remarkable. Purchasing Apex Predator - Easy Meat from Amazon helps support Album of the Year. Or consider a donation?